A report was submitted to the National Response Center(NRC) yesterday(July 20, 2012) documenting a continuous release of Hydrogen Cyanide at The Baton Rouge Refinery, owned by ExxonMobil, on Scenic Highway in Baton Rouge, LA. Hydrogen Cyanide is a highly toxic chemical that begins to volatilize near room temperature(78 degrees Fahrenheit). Hydrogen Cyanide is well known as a chemical warfare agent but is commonly used in many industrial practices including the manufacturing of plastics and pesticides. 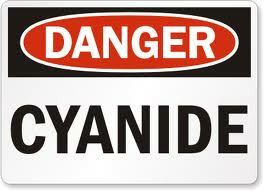 See an outline of Hyrdogen Cyanide in The Emergency Response Safety and Health Database here. The description of the incident from the NRC report states:"Due to site stack testing, we believe the hydrogen cyanide emissions from our refinery are above the previously reported quantity. The refinery continues to operate and this does not impact production." The report indicates the amount of Hydrogen Cyanide being released could be as much as 444.26 lbs/day. According to the report, the National Response Center reported the ongoing release to the Louisiana State Police, Louisiana Department of Environmental Quality, Louisiana Department of Natural Resources, and other appropriate agencies at 3:47pm on Friday(July 20, 2012) afternoon. This incident was reported 1 day after The Louisiana Department of Environmental Quality served ExxonMobil Corporation and The Baton Rouge Refinery with a Consolidated Compliance Order and Notice of Potential Penalty for the events surrounding a large Benzene leak on June 14, 2012.